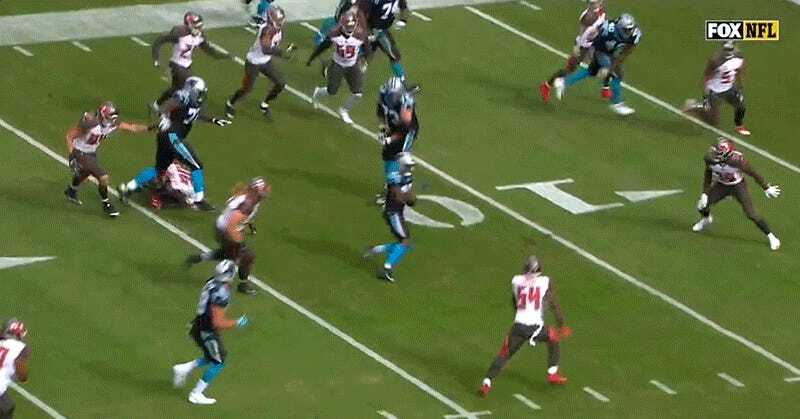 On a 1st-and-10 at the Buccaneers 33-yard line, the Panthers dialed up a double-reverse for second-year receiver Curtis Samuel, who proceeded to embarrass the hell out of nearly every single player on Tampa Bay’s defense for a touchdown. Props to Samuel’s conditioning for being able to add yet another reverse to the play after finding some wide open space on the right side of the field. In total the former Buckeye travelled 103 yards for the score, according to ESPN’s Field Yates. 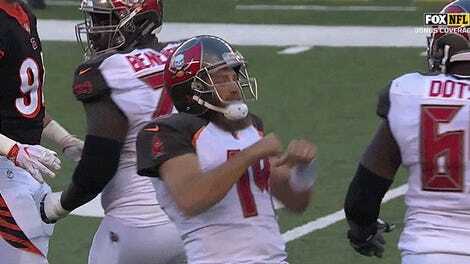 This play goes beyond just being the result of one team having won four of their last five games, and the other blowing a Fitzmagic game-tying drive for their fourth loss in that same span. Norv Turner has guided this Carolina offense to new creative heights this season. Cam Newton gets to express the full breadth of his talents, and his athletic receivers who can’t catch are suddenly offensive threats who can just outrun their opponents on reverses like this. The numbers show that this approach has been pretty successful. Turner was already on his way to being one of the frontrunners for a coordinator of the year award, but Tampa’s defense might just make him the runaway favorite.